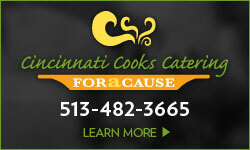 Carson Field Trip to Cincinnati COOKS! 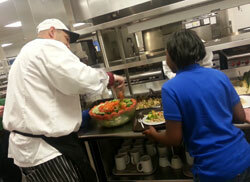 Media•on March 14th, 2013•Comments Off on Carson Field Trip to Cincinnati COOKS! 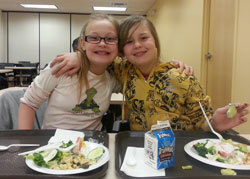 March is national nutrition month, promoting healthy food and exercise habits for children across the nation. 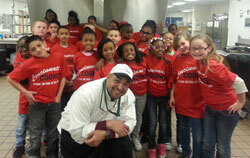 Recently a group of Kids Cafe students from Carson Elementary took a field trip to Cincinnati COOKS! 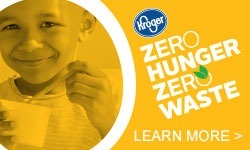 as part of a program for obesity reduction and prevention. 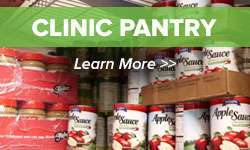 Funded through a grant by the Community Leadership Institute through the University of Cincinnati’s Academic Health Center, the students were given a survey about their eating and exercise choices. The Freestore Foodbank program staff then designed community-based program incorporating the 5210 Initiative for healthy living, which helps kids and families learn the value of a healthy lifestyle. The day ended with the students making their very own healthy desserts out of yogurt and fresh fruit and each student that received their very own Cincinnati COOKS! t-shirt.